Thankfully, 90% of women who are diagnosed with Breast Cancer in the earliest stage beat the disease, so we know that early detection is key for survival. (4) Unfortunately, most women don’t know the signs to look out for, how to properly conduct a self-breast exam, or take the time to schedule regular screenings and check-ups. Furthermore, mammograms and other screening tools may not pick up on breast abnormalities. 27-year old Hayley Browning knows all too well the importance of paying attention to your body and regularly examining your breasts. Hayley discovered a lump in her breast while in an unexpected position – lying down. She took to Instagram to share her findings. “3 weeks ago, I was diagnosed with Breast Cancer. I could only feel the lump whilst lying down and it completely disappeared standing up. Most websites tell you to check for lumps in the shower but if I had followed this advice, the lump may have grown too large to be treatable. 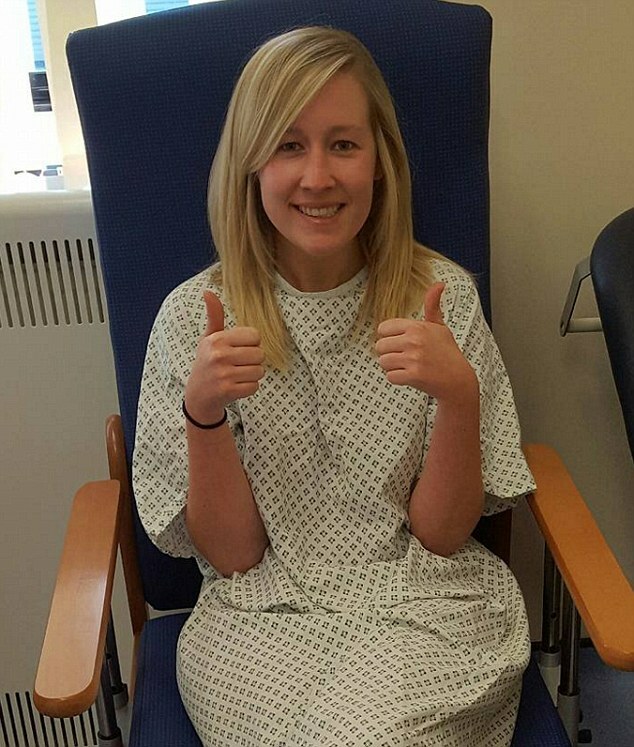 Not even the surgeon could feel my lump when I was standing up.” Hayley captioned her post. Oncologist Dr. Bonnie Reichman talked to Today about the importance of knowing your body and regularly checking your breasts for changes. “Women should do it [their breast self-exams] the same time of the month,” said Reichman. Breast self-exams should be done once a month, at the same time each month, and in a variety of positions. Watch the video below for step-by-step instructions on how to properly perform a self-breast examination. Early detection of breast cancer could save your life, or the life of a loved one. Join us in performing monthly self-exams, and be sure to schedule screenings regularly with your doctor. Share this article with your loved ones and stop cancer in its tracks!